Q. Will Camp Bestival 2019 go ahead as planned? Yes, it will! 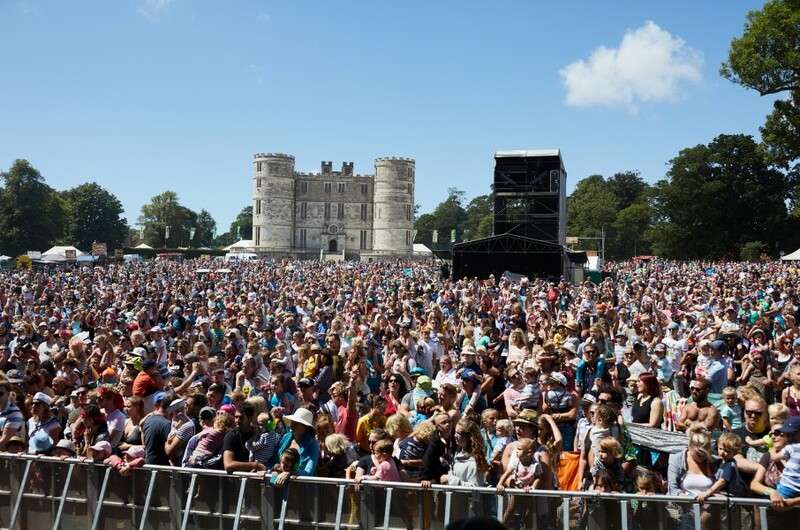 The dates and location remain exactly as previously announced: July 25th - 28th 2019, Lulworth Castle, Dorset. Q. I have already bought tickets for 2019, what do I need to do? No need to do anything, we have worked with our official 2019 ticket agents Ticketmaster and Festicket to take care of things for you. Your tickets will be delivered to you, and honoured, as normal even though the administrator took all ticket monies. Q. Are Josie and Rob da Bank still involved with the festival? Very much so. They continue to run the show and will now be able to bring even more of their creative vision to life as Camp Bestival enters a new chapter. Q. When will tickets for 2019 go back on sale? Camp Bestival 2019 tickets will go back on sale on Friday 30th November. 2019 ticket prices will be no higher than 2018 prices. Q. How will this affect the festival going forwards? This new financial backing and support structure means we will be able to deliver the best Camp Bestival ever. It will still be the same Camp Bestival we all know and love, with loads of new and exciting additions to explore and enjoy. Q. What happened to the insurance money? Sunday 2018 ticket holders are entitled to apply for a complimentary Camp Bestival 2019 Day ticket for one day on the Friday, Saturday or Sunday, or a face value refund. VIP Sunday 2018 Day Ticket holders are entitled to a VIP 2019 Day ticket to the day of their choice, or a face value refund. We will also include a complimentary Day Car Park ticket with every order. You will be able to choose which day you want to attend after the 2019 line-up has been announced. All additional Sunday ticket types are included in the above as either 2019 replacement tickets where available, or face value refunds (ie. Event Programmes / Slow Motion Treatments & Activities / VIP Booths / Inflatable Church Weddings / any other on site activities). Applications for complimentary tickets or refunds will be open for a limited period until Friday 30th November. Refunds are only applicable to the face value of festival entry tickets; service charges, booking fees and postage are not applicable. To apply for a complimentary Day ticket or face value refund, look out for an email from your 2018 ticket agent coming shortly. If you purchased any Sunday activities or extras on site please complete this form online. - Discounts are applicable to tickets bought outright and using the Monthly Payment Plan. - Discounts are only applicable to the face value of festival entry tickets; service charges, booking fees and postage are not applicable. - Additional tickets types are not included in the discounts (ie. Camping Plus / Backstage Camping / Hospitality Camping / Accommodations / Car Park / Live-in Vehicles / Event Programmes / Slow Motion Treatments & Activities / VIP Booths / Inflatable Church Weddings / any other on-site activities). - Refunds will be issued within 4 weeks of applying. - Discount codes for 2019 tickets will be valid until Monday 31st December. Q. I am a local resident and purchased my weekend tickets with a 50% discount via Discover Purbeck Tourist Information Centre. Am I entitled to a discount/refund on my weekend tickets? As these tickets were heavily discounted at the point of purchase, a discount/refund is not available to these customers. We will continue to offer local residents the same discount on tickets for 2019. We will publish these details in January. Q. I paid for upgrade tickets / accommodation (eg. Camping Plus, Backstage Camping and Hospitality Camping, or any accommodations), are refunds available for these? Unfortunately, in order to provide ticket refunds to as many people as possible, refunds on Camping Plus, Backstage Camping and Hospitality Camping, or any accommodations are not being offered. Q. I won competition tickets for Camp Bestival 2018, what am I entitled to? Competition tickets are not included so discounts do not apply. Q. I’m on the Monthly Payment Plan via Ticketmaster for 2019 tickets, what’s happening with my tickets and the payments? Ticketmaster will resume ticket sales soon and turn the monthly instalments back on, so you can carry on making payments as usual. You don’t need to re-book. Ticketmaster will be in touch shortly to confirm when the next payments will be collected. Q. When will you announce the 2019 theme and line-up? Exciting news on our 2019 theme coming soon, and we hope to announce our first wave of acts including headliners later this month.